All classes run from 7 to 9 PM unless otherwise indicated. What does it mean to take a “relational” approach to depth psychotherapy? In this yearlong course, we will turn to the work of Stephen Mitchell, Philip Bromberg, Robert Stolorow, Michael Eigen, and others, as well as to case presentations from faculty and participants to begin to answer that question in an individual way for each of our participants. We will also consider the work of the psychoanalyst Sandor Ferenczi who was pushed into obscurity after his rupture with Freud. His writing on mutuality in analysis was suppressed for many years. Only in recent decades has Ferenczi’s work begun to be recognized as a foundation for what we now call relational psychoanalysis. Even less well known is the relational nature of the work of C.G. Jung— another psychoanalyst who became ostracized from the Freudian psychoanalytic school. Jung presented many, thoroughly modern views about psychotherapy that are deeply resonant with those developed by the relational school. The overlap between Jung’s ideas and those of the contemporary relational school offer us a wider lens through which we can creatively outline the nature of healing in a relational approach. This yearlong program will be the Jung Institute's first in the East Bay, and the first to present contemporary relational analysts through the hearts and minds and experiences of Jungian analysts. We will learn of the profound connection between Jung's work and current thinking on the power of the relationship and the mutual influence of patient and therapist to heal the wounds of both. This yearlong course is divided into eight seminars, running three or four weeks each. The seminars take place on Monday evenings at St. John's Presbyterian Church in Berkeley. An initial Monday evening meeting and two subsequent integration Group meetings will help frame the course. The Integration Groups will give class members the opportunity to offer feedback to course coordinators and further process material covered in class. 69.5 possible continuing education hours. Credits issued are based on actual course attendance and require the completion of seminar evaluations and a brief post-exam response. Credits are approved for MD, PhD, MFT, LCSW & RN. This course is designed for practicing clinicians. To enroll you must be licensed in the field of mental health. If you are a pre-licensed clinician or a licensed practitioner in a closely related field, please contact Richard Borutta at rborutta@sfjung.org with a short description of your relevant clinical experience for review before registering. The C.G. Jung Institute of San Francisco designates this live activity for a maximum of 71.50 AMA PRA Category 1 Credit(s)™ Physicians should claim only the credit commensurate with the extent of their participation in the activity. Credit issued only after post-test and evaluation have been completed and attendance has been accurately marked. Please complete your post-test and evaluation within one week of each seminar's end date. In 1909 Carl Jung, Sandor Ferenczi, and Sigmund Freud all sailed together from Germany to Clark University in Worcester, Massachusetts. Each developed a unique understanding of the psyche and psychotherapy. The greatest similarity in approach is between Jung and Ferenzci, who both broke with Freud and were then ostracized from traditional psychoanalysis. The similarity between these two great thinkers is not well known. There is overlap between Jung’s metaphor of the king and queen (therapist and patient) in the alchemical bath, and Ferenczi’s understanding about reciprocity and mutual influence of the analyst and patient. Ferenzci is more known in relational psychotherapy than is Jung. Both write about mutual unconscious participation of analyst and patient, a dialectical encounter, and both are more experimental and believe in the humanity of the therapist who takes on the suffering of the patient, each growing from the relationship. 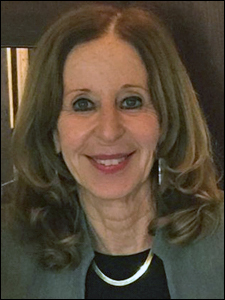 Betsy Cohen, PhD, is an analyst member of the C.G. Jung Institute of San Francisco. She teaches in the analytic training program and public programs. She is the author of The Snow White Syndrome: All about Envy (Macmillan, 1986) and articles in Jung Journal: Culture and Psyche on “The Intimate Self-Disclosure,” “Emmanuel Levinas and Depth Psychotherapy,” and “Jung's Answer to Jews.” “Tangled Up in Blue: A Reappraisal of Complex Theory” will appear in Why We (still) Read Jung and How (2013, Routledge). Her current interest is bringing ancient biblical wisdom, and a small amount of Plato, to contemporary psychoanalysis. Brief Bio : Betsy Cohen, PhD is an analyst member of the C.G. Jung Institute of San Francisco. She teaches in the analytic training program and public programs. She is the author of The Snow White Syndrome: All About Envy and articles in Jung Journal: Culture and Psyche including, "The Intimate Self-Disclosure," Emmanuel Levinas and Depth Psychotherapy," and "Jung's Answer to Jews." Her current interest is bringing ancient biblical wisdom and a small amount of Plato to contemporary psychoanalysis. Brief Bio : Mark Sullivan, PhD, MFT is an analyst member of the C.G. Jung Institute of San Francisco where he teaches in the analyst training program, the program for professionals and public programs. He has published in the Journal of Analytic Psychology on analysis and initiation, as well as in The San Francisco Library Journal now Jung Journal: Culture and Psyche. Dr. Sullivan practices in Oakland, Calif., where he sees individual adults, children adolescents and couples. Jung wrote on the Self as the “image of God” in the psyche. Psychoanalyst Neville Symington offered the image of a “true god” that must be chosen to be realized. Both are pointing to our Being: our aliveness, awareness, and the “One Life” we are part of. Symington makes a valuable contribution. As a result of childhood traumas we build defensive strategies that leave us feeling alienated from our Being, each other, and the world. Recovery of Being is central to healing and wholeness. For Symington, however, its recovery must be chosen through creative acts and meaningful interaction with others, not only deep contemplation. This seminar will focus specifically on the loss and recovery of Being. We will examine states of self-loss, the nature of Being, how our lives change if we choose it, and the analyst’s participation that supports recovery. Brief Bio : Bryan Wittine, PhD, LMFT, is a Jungian psychoanalyst in private practice in Marin County where he consults with therapists on depth psychology and spirituality. A student of mystical traditions for 45 years, Dr. Wittine has lectured and taught extensively in academic and religious settings and was co-founder and former chair of the graduate program in transpersonal psychology at John F. Kennedy University. In this Seminar special attention will be given to the co-transference and the intersubjective/relational field, and what is trying to emerge from the silence in the relationship. The interpenetrating mix of therapist and patient is an essential condition of the non-verbal relating that occurs between the unconscious images, feelings and associations within the therapist and the patient. Through clinical example, paying attention to the articulate and inarticulate, the describable and indescribable, we will look at this edge of experience and how it is expressed and experienced in the relational field. In working within the co-transference, the understanding of developmental failure as well as a desire for mystery, meaning and inspiration will be discussed. Maria Ellen Chiaia, PhD is a Jungian analyst in private practice in Berkeley and Marin. She is on the teaching faculty of the C.G. Jung Institute and is a teaching member of the International Society for Sandplay Therapy. She teaches and consults internationally and has authored many articles and book chapters. The focus of her work revolves around the relational field, the experience of non-verbal states and imaginal knowing, and finding meaning and spirit in and through our suffering. Brief Bio : Maria Ellen Chiaia, Ph.D. is an Adult and Child analyst of the C.G. Jung Institute in private practice in Berkeley and Marin. She is a clinical and teaching member of the International Society for Sandplay Therapy. She is co-author of Sandplay in Three Voices: Images, Relationship, the Numinous, has been a key note speaker at a number of conferences and has authored many articles and book chapters. In The Red Book, Jung speaks of realizing how he needed to turn towards the full range of his emotional responses in order to grow, something that he submitted to only with great difficulty as he struggled with feelings of shame and self-loathing. In this course, we will consider the work of C.G. Jung, Stephen Mitchell, and others to discover how having our emotional experience can lead us towards wholeness, including the emotional experience in the analytic hour we have as psychotherapists. 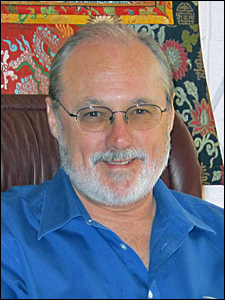 Mark Sullivan, PhD, MFT, is an analyst member of the C. G. Jung institute of San Francisco where he teaches in the analyst training program, the program for professionals and public programs. He has published in the Journal of Analytical Psychology on analysis and initiation, as well as in The San Francisco Library Journal (now Jung Journal: Culture & Psyche). Dr. Sullivan practices in Oakland, California where he sees individual adults, children, adolescents, and couples. Here is where participants take the post-test and fill out the evaluation form in order to receive CEUs for the classes they attended during Seminar Four. This seminar explores the nature of power and love, autonomy and dependence, on both archetypal and personal dimensions within the psychotherapeutic relationship. We will use as our texts two seminal papers in the field of relational psychoanalysis: Emmanuel Ghent’s “Masochism, Submission, Surrender: Masochism as a Perversion of Surrender” and Lewis Aron’s “The Tree of Knowledge: Good and Evil,” and compare their perspectives with excerpts from two works completed in the aftermath of WWII: C.G. Jung’s essay, “Answer to Job” and Erich Neumann’s “Depth Psychology and a New Ethic.” Each of these authors offer a perspective on splitting and integration, and suggest different ways of standing in the tension between objectification and wholeness. 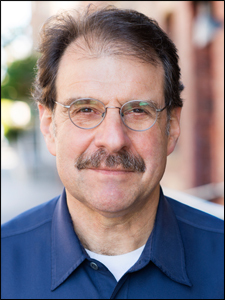 Steve Zemmelman, PhD, is a Jungian analyst working with children, adults and couples in Berkeley and San Francisco and an Associate Clinical Professor in the Department of Psychiatry at UCSF. He has published papers on a range of topics including transference, the archetype of initiation, Jewish mysticism, Freud and Jung, suicide, joint custody and the Coen brothers. He serves as chair of the Extended Education program at the C.G. Jung Institute of San Francisco. 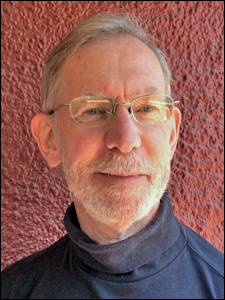 Brief Bio : Steve Zemmelman, PhD is a Jungian psychoanalyst working with children, adults and couples in Berkeley and San Francisco. Dr. Zemmelman is an Associate Clinical Professor in the Department of Psychiatry at UCSF, a core faculty member at The Sanville Institute for Clinical Social Work and Psychotherapy, adjunct professor at Pacifica Graduate Institute, and a supervisor at The Psychotherapy Institute in Berkeley. He has taught and published papers on a range of topics including transference, attachment, the archetype of initiation, Jewish mysticism, Freud and Jung, suicide, joint custody, mediation, and the Coen brothers. He serves as chair of the Extended Education program at the C.G. Jung Institute of San Francisco. This event allows for participants who attended Seminar Five to take the post-test and evaluation to receive CEUs for the classes they attended only. In our clinical work, many of us start from an inadvertently binary frame of mind regarding gender expression. This series of classes will explore what we bring to our consulting rooms with respect to our attitudes and working assumptions regarding sexuality and gender expression. Learning objectives include broadening participants’ appreciation for the continuum of gender expression, and increased awareness of the unconscious relational elements that we bring to our work with respect to our own experiences of embodied gender and sexuality. Readings will include some primary material from Jung regarding his notion of the syzygy, as well as readings from queer theory and relational analysts who have contributed to the fields of gender studies and sexuality,including Jessica Benjamim and Melanie Suchet. Anita Josefa Barzman MD, CCH, RSHom(NA) is an analyst member of the C. G. Jung Institute of San Francisco. Dr. Barzman is knowledgeable about transgender medical and mental health care, and has welcomed many transgender and gender non-conforming individuals into her practice. Deeply interested in the duality of mind and body, she is a Certified Classical Homeopath as well as a Board-Certified Psychiatrist, and uses homeopathy extensively in her analytic practice as well as collaborating with other analysts and therapists in a combined treatment framework. This is where the post-test and evaluation for seminar six are taken. This seminar examines analytic work with dissociation and trauma, beginning with Jung’s seminal relational conceptualizations. Additional relational contributions from Harry Stack Sullivan, Bromberg, Stolorow, Stern, Kalsched, and Knox will be surveyed. Dissociation will be investigated as an “unconscious decision to keep experience unformulated” (Stern, 2003), along with Jung’s formulation that dissociation is natural to the psyche and may enable creation. We will explore how engagement with art and soul, including its manifestation in synchronicities, are forms of relationality that express and transform the dissociated into the created. Poetry, art and relational dimensions of aesthetics and soul, including aesthetic conflict and spiritual wounding, with analyst as artist and mystic, will exemplify these ideas. 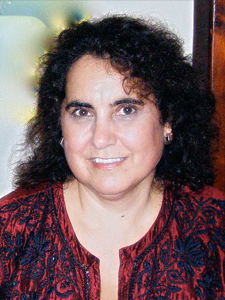 Helen Marlo, PhD, is an analyst member of the C.G. Jung Institute of San Francisco, clinical psychologist, and Professor at Notre Dame de Namur University where she chairs the graduate Clinical Psychology Department. She works with adults and children in her San Mateo private practice. She serves as Reviews Editor for Jung Journal: Culture and Psyche. Brief Bio : Helen Marlo, PhD, an analyst member of the C.G. Jung Institute of San Francisco and licensed clinical psychologist, works with adults, children, and infants in her San Mateo private practice. She is Chair of the Clinical Psychology Department at Notre Dame de Namur University where she is a full Professor. She serves as Reviews Editor for Jung Journal: Culture and Psyche. Here is where attendees for Seminar Seven take the post-test and learner evaluation. function, and explore the transformative, integrative function of imagination, creativity and play within the analytic relationship. We will be giving special attention to the emergent Self and the relational vas, and consider Jung’s pioneering regard for mutuality in conjunction with contemporary relational perspectives. The analytic relationship creates a safe-enough situation for opening to the unconscious. We will explore how the therapist’s capacity to work imaginatively with countertransference material can be deeply influential. The class will incorporate reading, lecture, clinical material, discussion, and experiential amplifications to create an engaging learning experience. Francisco with Masters Degrees in dance and psychology with a specialization in somatic psychology. Robin is an adjunct professor at the California Institute of Integral Studies and John F. Kennedy University and has a private practice with offices in San Francisco and Kensington. 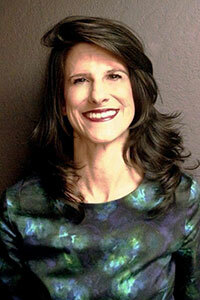 Brief Bio : Robin Eve Greenberg, MA, MFT, Lic#MFC35088, is an analytic member of the C.G. Jung Institute of San Francisco with a Masters in Dance and a Masters in Psychology; a somatic psychology specialization. Robin is an associate adjunct professor at the California Institute Of Integral Studies and John F. Kennedy University. Robin has a private practice in Kensington and San Francisco. Here is where participants in seminar eight take the post-test and learner evaluation.